Ad-supported free email options are abundant and the fact that they are free is appealing to many small businesses. But there are several problems with ad-supported free email besides the fact that they are not designed as business-class email. 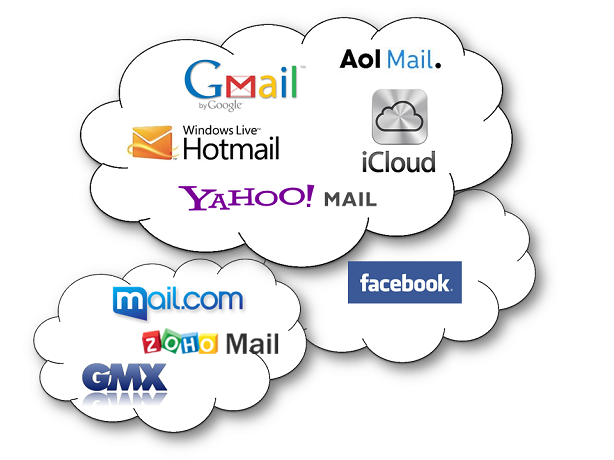 Does your business email have the features you want and need for your business? Does your email address look professional? Free email services definitely detract from your professional image. Customers and prospective customers won’t take you as seriously with a yourname@gmail.com address versus a yourname@yourcompanyname.com address. And your free email provider could be gaining a lot of information from your email because of recording your surfing habits, tracking ad clicks, and of course, delivering contextual ads to you based on your email content and web surfing habits. Free email really isn’t free. You’re trading more than you might be willing to give away for the limited benefit of this type of email. Free Email Can Drive You to Distraction! Free ad-supported email can be distracting to you and your employees when their email is polluted with advertising banners. And the privacy factor doesn’t just have to do with reporting and ads. If you are handling sensitive information from customers and vendors, you won’t want that shared. In fact, in some industries you’re forbidden from sharing that information and have a responsibility to your customers to take measures to ensure their privacy is protected. Worried that email migration will mean downtime? Migrating to business-class email doesn’t have to be painful and it also doesn’t have to be costly. You don’t have to install a MS Exchange server and dedicate resources to managing this. Cloud-based hosted email such as Kerio Connect from GetSync’d are available from $4.99 per user per month with included support and it’s not only affordable business-class email but it’s reliable, private, and very user-friendly. In addition to professional and private secure email that sync’s live across all platforms you’ll also have collaborative tools (calendar, folder sharing, instant messaging, task delegation abilities, end more) that help you and your team boost productivity. Whether you choose GetSync’d Kerio Connect or another Ms Exchange alternative for business class email, you’ll benefit from looking for productivity solutions that are designed specifically for businesses. In addition to email, Kerio offers security tools like Kerio Control, cloud-based VoIP such as Kerio Operator, and other cloud-based productivity tools for small to medium-sized businesses that are all available from preferred partner GetSync’d. Learn more about hosted email from GetSync’d.